Earlier this week we had a brief peek into the world of Divinus Imperium, a mod that hopes to be the overhaul for Stellaris post-Banks. Today is the first in a series of articles that provide a window into the development that’s already taken place and what the modders hope to achieve with their ambitious project. This slow-drip of information promises to culminate once every two weeks, so make sure you check back for updates. Subscribe to Odin Gaming and follow me on Twitter for news. This week focusses on one of the largest pillars of Stellaris gameplay – the planets. In the base game, there are 10 basic habitable planet types. Nine of these planet types are divided evenly into three climates/hydrospheres of wet, dry, and frozen; the tenth is, of course, the Gaia classification which sits in its own special climate of “ideal”. This is probably old news to you. Just a little more old news to make sure we’re all on the same page. When you create your species, you select one of the nine, non-Gaia, planet types e.g. arid, arctic, tropical etc. Every species has 100% habitability for Gaia worlds, 80% for their own preference, 60% for worlds in the same climate category, and 20% for everything else. Vanilla savanna will be redefined as badlands and will remain in the dry climate. Savanna will be repurposed as a hybrid type with 60% habitability for species preferring wet or dry climates (in other words it is a wet-dry hybrid climate). Steppe is introduced as a dry-frozen climate. Taiga is introduced as a wet-frozen climate. The intention is to increase tension between races from other climate types in the early expansion phase of the game. 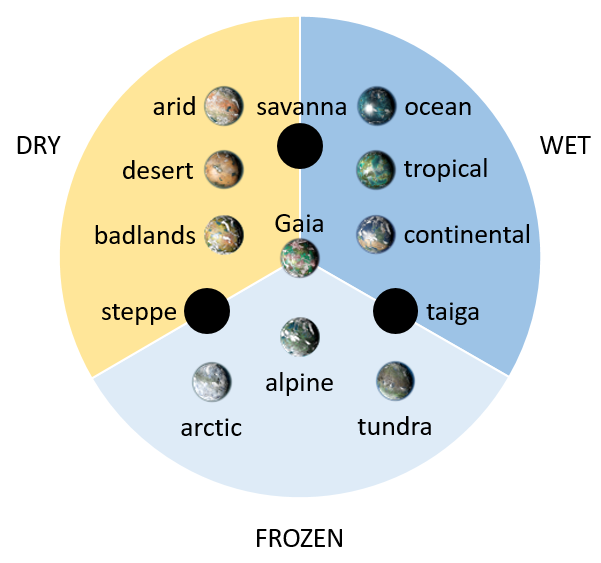 If, for example, you were playing a race with a continental preference and ended up wedged between two races with an arid and arctic preference, respectively, you wouldn’t have had much competition for specific planets in vanilla, since all three of the species were in different climate groups (wet, dry, and frozen, respectively). There would have been competition from Gaia worlds (as always) and for systems with worlds from multiple climates. The hybrid worlds in Divinus Imperium increase the chance for early-game conflict (should you require it). These hybrid worlds are also available for the homeworld type when creating new species. However, in this case, the species only inherits preference for one climate type, for the sake of balance. Races originating from savanna worlds have a dry preference, from steppe a cold preference, and from taiga a wet preference. Divinus Imperium adds another layer to the random number generator (RNG) behind resource deposits on the tiles of planets. An additional hidden number, which the modders call “resource tier”, will determine whether a planet will be more likely to be very rich in a particular resource deposit, or very poor, and everything in between. A resource tier is assigned to each of the six deposit types (minerals, energy, food, engineering tech, society tech, physics tech) and to the planet as a whole. This means a given planet might have a high resource tier for minerals, a low resource tier for food, with everything else having a resource tier somewhere in between. This makes it more likely – but not guaranteed! – that the planet would end up having lots of minerals and little food, with a spattering of other resource deposits. The motivation for this mechanism is to improve planet flavour beyond planetary modifiers. This way, a planet may well be suitable as the galactic breadbasket beyond any modifiers it might have. 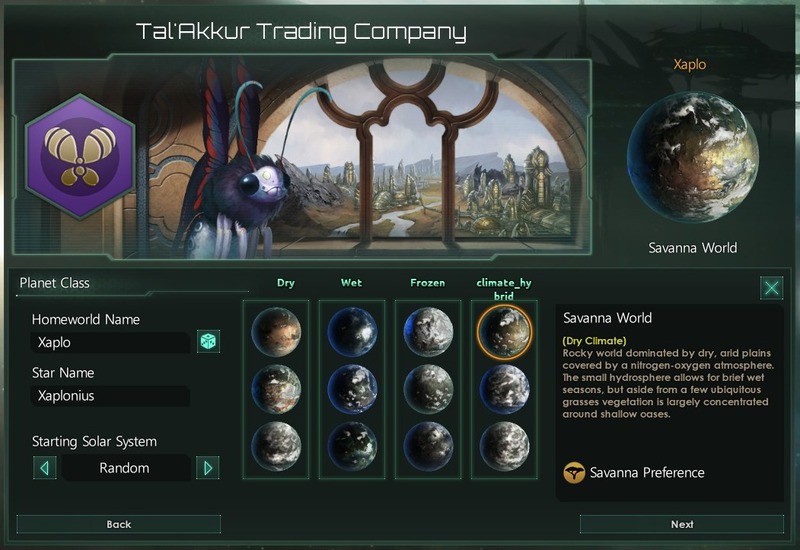 Featured in last months mod roundup, Guilli’s Planet Modifiers adds more planetary modifiers and a host of other features. Check out the linked article for more information and a link to the Workshop page. The modders behind Divinus Imperium are building upon the work of Guilliman, the mod author, to integrate aspects of his mod into their own. “Local planetary resources” are limited to Alien Pets and Betharian Stone in vanilla. These cannot be collected across an empire in the same way as so-called “strategic resources” (including Teldar Crystals, Dark Matter, and Zro, for example), but they do act as prerequisites for certain buildings on the tile on which the local planetary resource is located. Divinus Imperium will add more of these local planetary resources with new building options for those tiles. The intention is to have multiple options for building on these special tiles to instigate a trade-off between instant reward (emulating instant extraction and sale, for example) and long-term investment (akin to extraction, refinement, and manufacture). These buildings may provide planet-wide benefits or adjacency bonuses. A similar, but not identical, system was exploited in AlphaMod, which introduced a plethora of new strategic resources. While I enjoy using AlphaMod – and I believe I’m in good company – one of the things that often frustrated me in late game was the sector meta in which I had to ensure each sector was self-sufficient in strategic resources. This was no mean feat with the long list of additional strategic resources added by the mod. This micro came at a time just when you, the player, wanted to be shedding it – when your empire was getting large. I’m hoping that the focus on local planetary resources will introduce some additional incentive to playing the colony-management mini-game while not penalising those with a more hands-off approach too much (or, indeed, the sector AI). I would rather not use extra buildings, occupying multiple planetary slots, with the pretense of a complex supply chain. This adds excess micro which, in my opinion, hurts the AI. The complex supply chain doesn’t exist, so give players the option to build for direct or indirect reward, which simulates the entire supply chain in one tile. The team are looking for feedback from the gaming community to see if they’re on the right track with Divinus Imperium. Let them know what you think by filling out the form here. 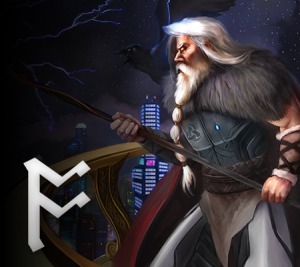 News about Divinus Imperium will come exclusively through Odin Gaming, so make sure you subscribe and follow me on Twitter for the next instalment, as well as other gaming-related posts! That's an interesting idea, Bruno. Why do you think this implementation is too strong? If you are from the duel planet you only have preference for a single one. So if you are from savanna you can only colonize the 5 dry worlds. So its exactly the same as other climate types. What it does do is raise the amount of cognizable from 1/3 to 5/12 a increase of 25%. If we did your change it would be strictly better to be from a dual world (more worlds cognizable). Currently its balanced. Considering how flat and frankly boring many elements of the game still are and that I personally enjoy microing planetary development and strategic resource availability, it was necessary and an intentional design-choice not to reduce these in the late game in AlphaMod. I appreciate this isn't for everyone. But then, AlphaMod isn't meant to be. It's also worth keeping in mind that it is the limitations of hard-code that prevent easy sharing of strategic resources into sectors. AlphaMod does have a system in place for importing and exporting strategic resources in and out of a sector but it's a kludgey work-around using the only real UI elements of the game available to mod, events. And not surprisingly, I still haven't finished it. To try and keep it gamey, the system has a number of pre-requisites before you can access it. A trade station on the planet, a trade port on that planet's station. Then you need a particular type of building to export a particular type of resource. Many resources are already implemented but I am far from satisfied with the current system and the fact that a number of strategic resources cannot yet be imported and exported. I see! Thanks for the explanation - I'll have to give this a go and see how it pans out at the stage that I start large-scale sector management. I find the Hybrid planet concept you propose useless. If you want competition for planet make them interesting not average. The tier version is nice but today it is achieved by tile modifier on some planet. And the game does not really need to have planet with more identity. When you have 20 planets you'll lose track of them anyway. It just adds content to the early game which is already interesting. So not overly excited about this. Not enough info on local resource but I don't think my feedback would overly different than about resource tier. What extra information would you like to see about local planetary resources?